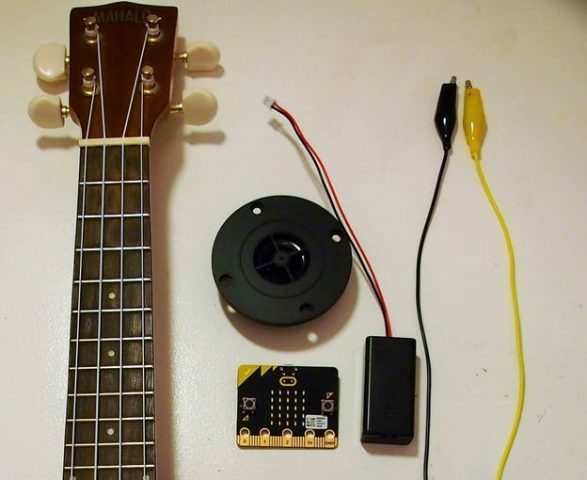 micro:bit Projects: Stringed Instrument Tuner! @microbit_edu #microbit #microbitlove #microbitmonday #musicmonday « Adafruit Industries – Makers, hackers, artists, designers and engineers! There are many ways/apps/tools to tune an ukulele, and now there is one more! In this case my Uke tuner was being smashed. Although there are plenty of instrument tuners online, I seized this opportunity to build a small and easy micro:bit project.